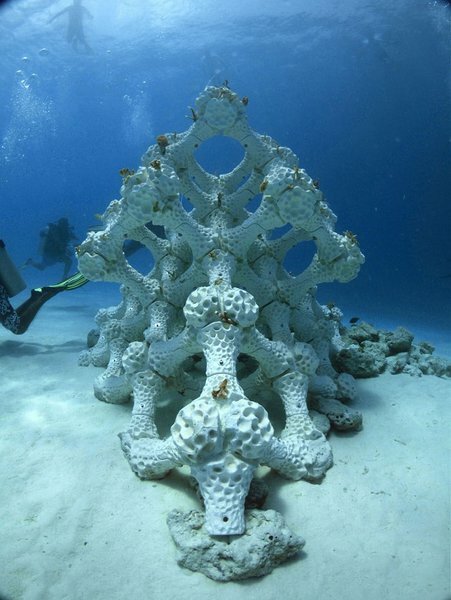 Australian designer Alex Goad has created and installed in the Maldives a modular ceramic structure that helps coral (an endangered species) to reproduce and restore biodiversity to the oceans. After starting The Modular Artificial Reef Structure project in 2013, Alex Goad in partnership with Reef Design Lab in Melbourne has finally succeeded: last August, the biggest artificial barrier reef was installed and assembled on the sandy seabed around Summer Island, in the Maldives. 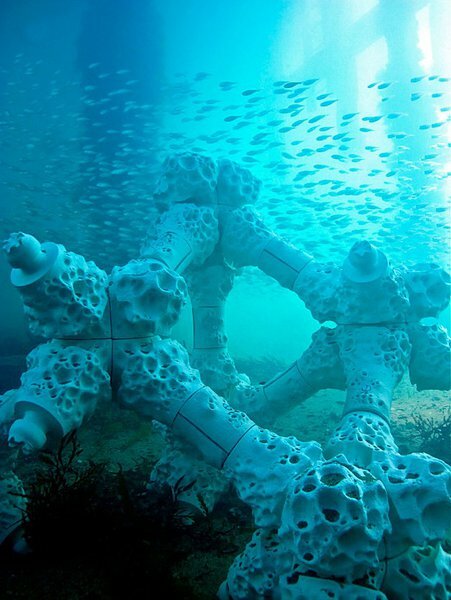 The “Modular Artificial Reef Structure”, or MARS for short, is a system in ceramic (a material that is similar in its chemical composition to the calcium carbonate from which coral is made) made from CAD-produced casts and 3D prints. 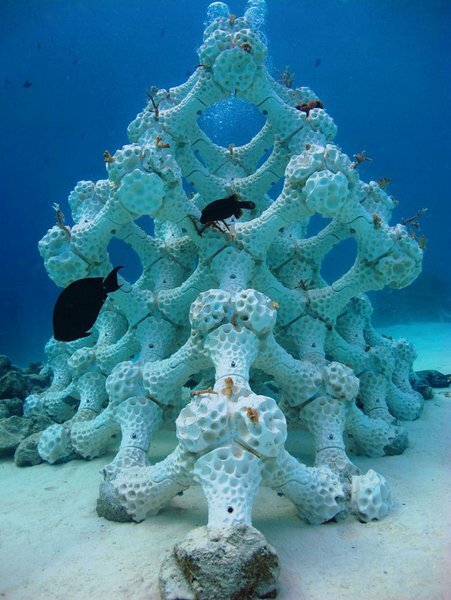 The porous reticular structure that simulates the geometric complexity of actual coral is a perfect habitat in which to colonize marine species threatened with extinction. The 220 modules made in Australia were transported to the Maldives, taken offshore in small boats and then lowered to the seabed by scuba divers, without the use of any particular machinery. 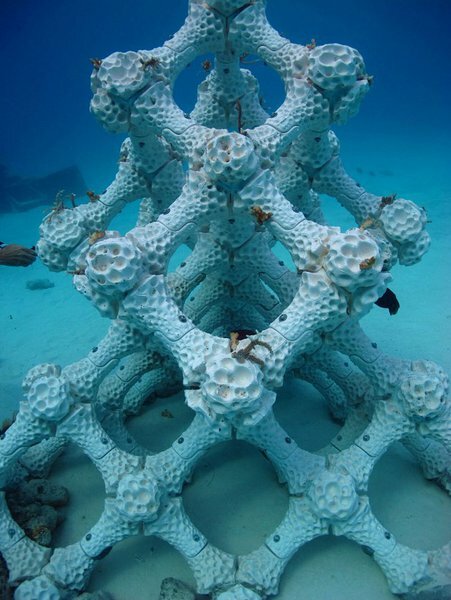 Once installed deep down on the seabed, tiny fragments of living coral that would reproduce in a few years were grafted into the hollow spaces of the structure. The experiment is not just a way of maintaining or restoring biodiversity in the oceans, which is being jeopardized by climate change; it also hopes to be a platform (the project is open source) for targeted research into more effective ways of keeping these precious calcareous skeletons alive. To learn more about this subject, check the Mars project on Alex Goad’s website here.